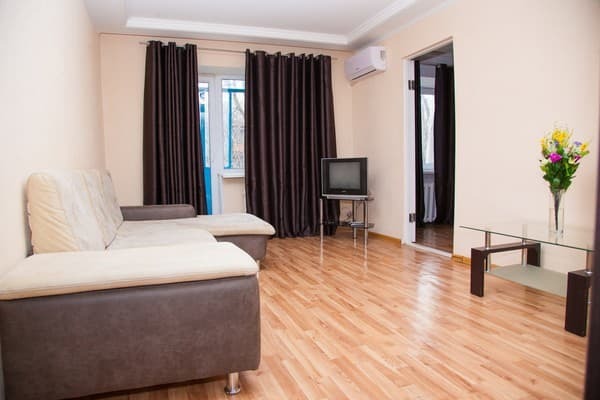 Description of the room: One bedroom apartment for 3 people. The apartment has a kitchen for self cooking. The kitchen has a refrigerator, microwave, gas stove, electric kettle, crockery, dining area. In walking distance are many cafes, shops, supermarket "Varus". 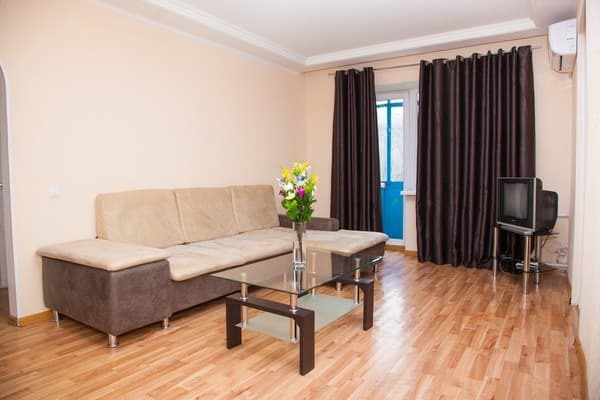 The apartments are located in the very center of the city, a 5-minute walk from the Soborny (Lenin) Avenue. 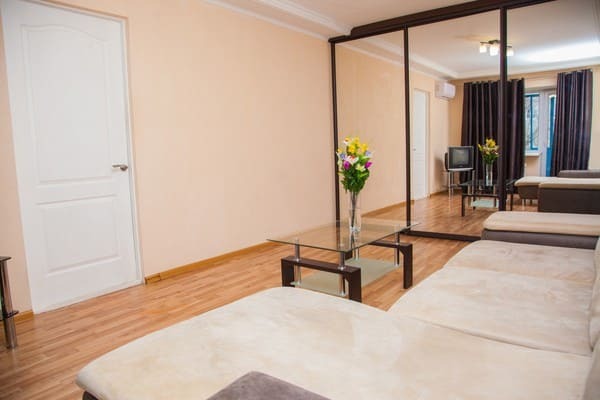 Within walking distance are the supermarket "Varus", Victory Park, Festival Square, banks, restaurants and cafes.